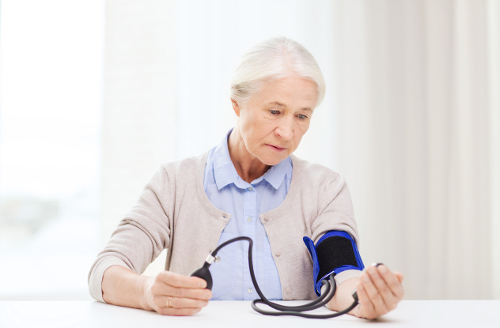 Are you someone who suffers from high blood pressure, aka hypertension? That’s blood pressure with a systolic reading of at least 140, and a diastolic pressure around 90. Maybe your doctor has had you on all sorts of antihypertensive drugs for years now. There are ACE inhibitors, thiazide diuretics, and beta-blockers, just to name a few. However, these drugs produce a variety of side effects. Some of which include dizziness or light-headedness, nervousness, headaches, and losing or gaining weight without even trying. You should never have to be on any drug for the rest of your life! That means the answer to hypertension does not have to be high blood pressure drugs. The question is, what will work? Let me tell you about a form of medicine that could be extremely effective and safe and is only prescribed if it is the right remedy for you, as an individual. I’m talking about homeopathy—an energetic form of medicine that works directly with the energy and biochemical information of the body. Individualized homeopathy is where a homeopath interviews you—sometimes for up to two hours—before they give a remedy. Yeah, that’s right! They sit down with you and listen to everything, including your emotions, mental behaviors, as well as anything physical going on. In a nutshell, far more matters to a homeopath than the systolic and diastolic blood pressure reading. Natrum muriaticum is a remedy made from coarse ground rock salt. It is used for high blood pressure that begins after any type of emotional upset. That can be a feeling of regret, guilt, self-pity, shame, or anything that disturbs your emotional state. The Natrum-type patient also desires to be alone, and experiences heart palpitations, headaches, and insomnia. Furthermore, they have a great thirst and a strong craving for salt, while they are averse to being in the sun. Some believe homeopathy is nothing more than a placebo, but this is simply untrue. And I have the research to prove it. Take, for example, a double-blind, randomized, and controlled study published in the Indian Journal of Research in Homeopathy in 2013. Researchers examined homeopathy versus a placebo in the treatment of high blood pressure. After six months, systolic blood pressure was reduced by 26.6 millimeters of mercury (mm Hg) in the homeopathy group, while it increased by 3.6 mm Hg in the placebo group. At the same time, the diastolic blood pressure in the homeopathy group was reduced by 11.8 mm Hg. And it would increase by 1.6 mm Hg in the placebo. The most common individualized homeopathic remedies included Thuja occidentalis, nitric acid, sulphus, Calcarea carbonica, medorrhinum, and Natrum muriaticum. The end result of this study is that individualized homeopathy had a significantly greater blood pressure-lowering effect than the placebo. Other studies have also found that the homeopathic Crataegus oxyacantha preparation “Cralonin” helps reduce blood pressure as well as ACE inhibitors and diuretics do. Crataegus is a homeopathic remedy made from hawthorn berry—a common antihypertensive herbal remedy. Homeopathic Crataegus has a history of treating all sorts of heart problems, including hypertension, arteriosclerosis, angina, and palpitations with anxiety. Additional popular homeopathic remedies for hypertension include Argentum nitricum, belladonna, glonoinum, lachesis, and Nux vomica. I know I’ve mentioned several homeopathic remedies today, but what remedy should you be taking for your high blood pressure? The next time your doctor says your blood pressure is on the high side, I would suggest booking an appointment with your homeopath. Not only will they choose the remedy they feel best matches your symptoms, but they will also recommend a particular dosage and potency of the remedy. How great is that? Your homeopath will also give you your individualized remedy at the end of your appointment. You don’t even have to go to the health food store, or pharmacy, to pick up your blood pressure homeopathic remedy. Saha, S., et al., “Individualized homeopathy versus placebo in essential hypertension: A double-blind controlled trial,” Indian Journal of Research in Homeopathy, 2013; 7(2); 62-71. http://www.ijrh.org/article.asp?issn=0974-7168;year=2013;volume=7;issue=2;spage=62;epage=71;aulast=Saha, last accessed July 5, 2017. “High blood pressure medicines,” MedlinePlus, May 3, 2015; https://medlineplus.gov/ency/article/007484.htm, last accessed June 4, 2017.